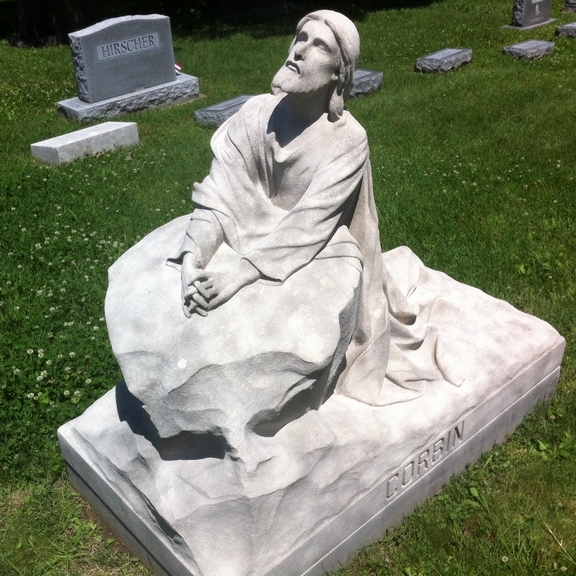 Three members of the Corbin family, Virgil, Elmer, and Jesse Corbin were stone carvers. Together, they produced this unique limestone monument of Christ kneeling in prayer. Jesse Corbin (1881-1960) and his wife Pearl E. Corbin (1883-1944) are buried here.